Local night life isn’t only about catering to college students anymore. Yvonne’s took over the space that once belonged to Locke-Ober restaurant. American Fresh Brewhouse Assembly Row. 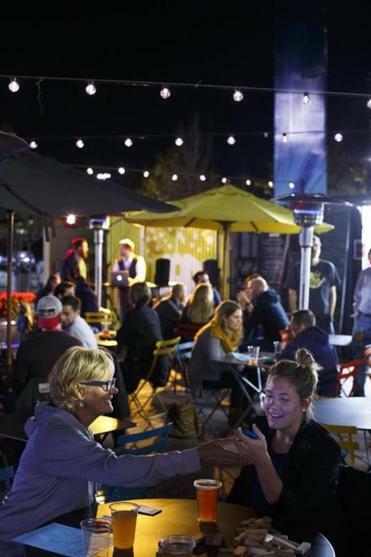 All manner of Somerville drinkers — and sometimes their children and pets — unwind at this convivial outdoor beer garden with local sips from Slumbrew (there are currently seven beers on tap) and unfancy eats like cheddar ale soup and fluffernutters. Spaces fashioned from shipping containers house board games and the kitchen. In colder months, the dining section is covered by a tent and warmed with space heaters. It’s all a happy splash of hometown flavor amid the retail glimmer of Assembly Row. This Fort Point bastion of Gallic glitz is a sophisticated place to take a date or a client: Cozy up on a bar-side velvet couch or settle into a quiet table in the restaurant’s Chalet Lounge to nibble on foie gras, steak tartare, or clam and quail egg flatbread with a carafe of rose. 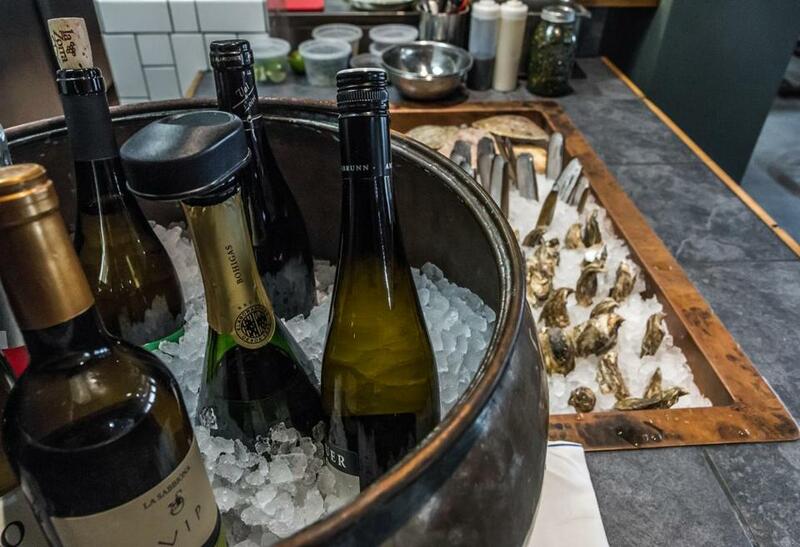 Glittery enough for a special night out but unpretentious enough for everyday dining, this neighborhood wine bar from the team behind Somerville’s beloved Bergamot is tucked several quiet blocks from Inman Square in Cambridge. That suits fans just fine. Secure a spot at the TV-free six-seat bar and browse an admirable roster of sweet and aged wines or settle into a banquette or a communal high-top for shareable small plates and charcuterie. There’s exceptional people-watching at this East Somerville hipster hacienda, especially at the 18-seat bar. 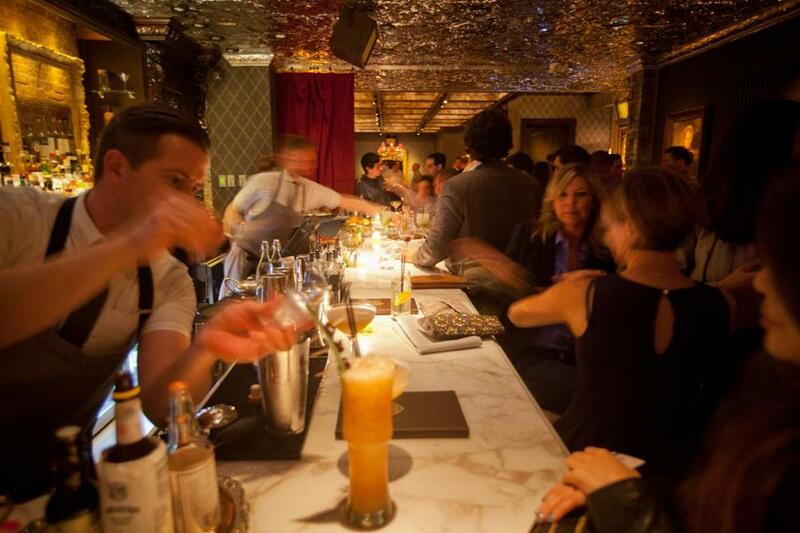 Mixologists (many of whom look like they stepped off a New York runway) treat guests like insiders, keeping patter flowing between paramours and strangers alike. Feeling frisky? Order the Tinder Date, a low-alcohol cocktail with rose cava and grapefruit. This Cambridge restaurant spotlights “East Coast revival” cuisine and throwback cocktails like the Safety Dance, made of vermouth and floral tea. There are no televisions at the 11-seat bar, and dishes are served on handmade pottery, reflecting an earnest harking back to a simpler time. Dine on majestic whole roasts, grilled ribs with chestnut and molasses, or braised lobster with hickory nuts. This new Korean restaurant in Davis Square is homey and hushed, just the place to curl up alone on a rainy night with a soul-warming plate of spicy pork bulgogi and a well-loved novel. Grab a seat at the intimate bar on a crisp evening and you’ll feel wrapped in cashmere, especially after a few sips of uncommon cocktails like the Persimmon Old-Fashioned or Korean Pear Smash. Service at this Somerville spot is relaxed; soon you will be, too. If the reliable — and reliably well-dressed — crowds are any indication, The Poynt is the upscale destination Newburyport’s long been waiting for. Get there early, stay late, or both: While the big bar offers plenty of seats, snacks like fried oysters, sushi, and a done-to-perfection grass-fed cheddar burger pair so well with cocktails like the Plum Island (Absolut Citron, muddled blueberries) that even the classiest of barflies aren’t so quick to shoo. 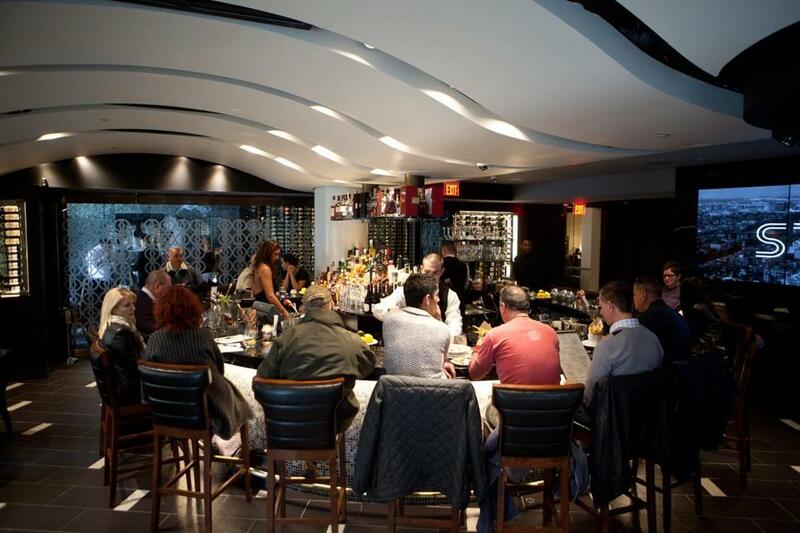 Gregarious restaurateur Nick Varano helms this downtown steakhouse where, come evening, everything is big: the heels, the energy, and often the net worth. At the back bar, where a giant screen plays an ’80s-heavy selection of music videos, recline in a plush seat or hold court at a bronze booth and toast your good fortune with shrimp cocktail and lobster gnocchi, or perhaps caviar. 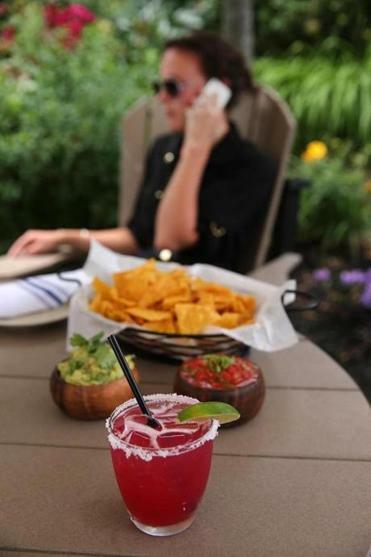 The cozy fireplace, brick walls, and espresso-leather loveseats may not scream south of the border, but the house-made chips, sangria, and midweek live music at South Shore hot spot Tesoro Latin Kitchen will make you cry ole. Menu highlights include margarita flavors from prickly pear to jalapeno (try the hibiscus, with a cranberry-pink tint). Operated by local restaurateurs Robin and Jill King (of Front Street’s Oro) inside The Inn at Scituate Harbor, Tesoro serves a clientele most likely to be feting someone’s 40th, or 50th. Crowds gather round the corner bar in winter and in warmer months flow outside to the stone patio. It seems as if everyone west of Cambridge unwinds here, from suburban swells in corduroys and argyle sweaters to groups of girlfriends eager for a night on the (small) town. Menu ingredients are painstakingly sourced from The Farm at Woods Hill in New Hampshire, and cocktails at the bar are thoughtful, too. Try an English Pea Collins (yep, made with pea juice) or hold court with the gin-based Earl of Concord. Late last month, this swanky downtown supper club took over the space once belonging to the iconic Locke-Ober restaurant and the name once belonging to Locke-Ober’s downstairs members-only club. The Library Bar — with its own cocktail menu and refurbished version of Locke-Ober’s original mahogany bar — is already becoming a post-work retreat for modern Brahmins. Swirl an espresso martini by the fireplace and make your next big deal.